Representative Will Davis, a Democrat, addresses the floor during the first day of special session. After the first day of a special session on education, Democratic lawmakers and the Republican Governor Bruce Rauner appear no closer to resolving the dispute that could hold up money for school districts. Rauner continues to demand Democrats send him the funding plan so he can change it and remove additional money for Chicago teacher pensions. House Democrat Will Davis of Homewood, who co-sponsored the measure, says his GOP colleagues are afraid to talk about the plan because of recent changes to the Governor's staff. Rauner has added several staff from a conservative think tank. "And there's a lot of uncertainty there and unfortunately he has put members of the Republican caucus in the House and the Senate in a very precarious situation where they really want to work with us ... (But) they're really scared to talk with us because they have no idea what the Governor wants," Davis says. Rauner says he wants the bill on his desk immediately. Proponents of the measure, SB 1, say it would be more equitable than the current way schools are funded, which is largely based on property taxes. The governor says in the measure's current state - too much money would go to Chicago teacher pensions. He says that comes at the expense of other districts. Rauner wants to make changes to the bill. "There is no education funding available for our children, and unless we fix that our schools will not open on time," he warns. Democrats have refused to send him the package even though it passed the legislature in the spring. Democratic Senate President, John Cullerton, who is from Chicago, says he has offered to meet with the governor to negotiate, but Rauner has refused. Cullerton says he's held onto the bill pending a conversation, "Because of the mental state of the governor - he's had a bad month. I'm just asking for a meeting guys, I'm not trying to be confrontational." Cullerton now says the bill will be forwarded to Rauner by Monday, though he would prefer to meet with him before that date. Cullerton warns if Rauner vetoes too much of the measure, the legislature would be forced to override his changes or scrap the bill entirely. Rauner kicked off the special session by signing a measure that halts increases in lawmaker's salaries and their mileage reimbursements. He said it was an example of legislators working together, since the idea had received wide support. 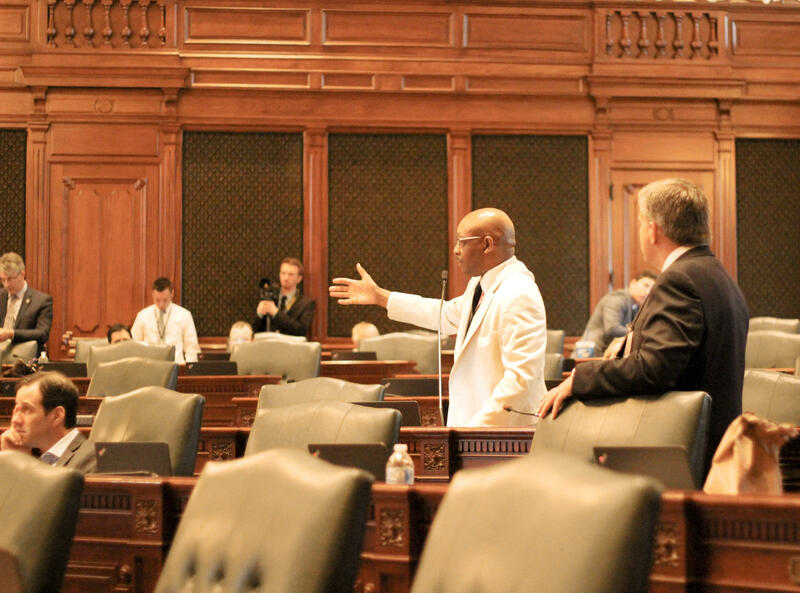 "We're announcing a step in the right direction to protect Illinois taxpayers. I want to thank the members of the General Assembly who came together on a bi-partisan basis to pass this legislation," he told those at a press conference. Still, Rauner calling special session is a hit to taxpayers. The cost of bringing legislators and staff back to the statehouse can run up $48,000 dollars a day. The law signed Wednesday won’t change that amount. Special session is scheduled through the rest of this week and Monday.